One cannot claim to be a traveller, and not have made the journey to Samarkand. Or at least have thought of it, fantasised about it. It would be blasphemy. 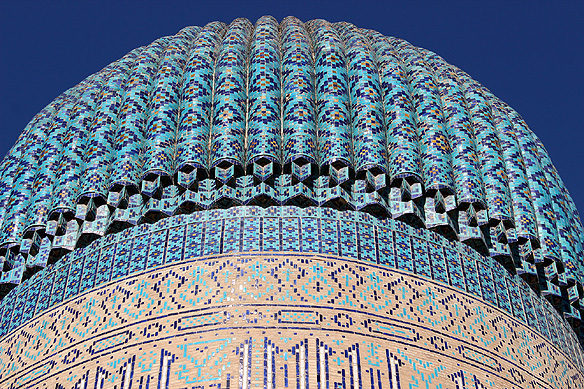 Samarkand is everything the traveller searches for, within and outside of oneself. It reveals secrets about life held gently amidst its spectacular edifices in blue and gold. 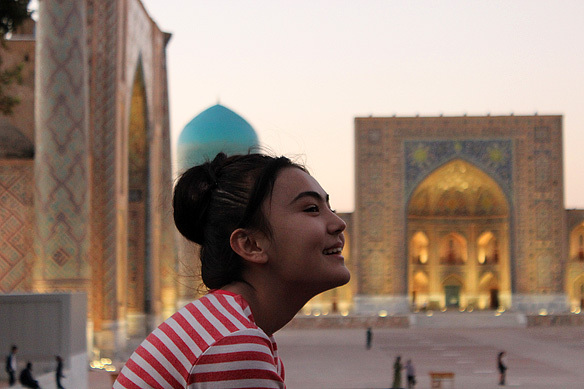 The romantic exotic tile-clad mosques, madrasahs, tombs, bazaars and squares transpose one back 500 years in time to a grand fairy-tale city, deep in arid windswept Central Asia. On a philosophical note, Samarkand is the semi-mythological place of “justice, fairness, and righteousness” in Islamic Classical literature.